Landscape Science Consultancy Ltd are an Ecological Consultancy with a strong focus on the integration of ecology with landscape and environment. Established for over 25 years, the practice has built its name on providing high quality ecological surveys, expert ecological assessments and professional outputs to support Planning. We work with a wide range of clients, including architects, home-builders, engineering consultancies, automotive companies and homeowners; and bring our extensive experience and wide skill-set to every project we work on. One of our key strengths is our ability to support a project from conception through to development, construction and completion. Whether you are looking at design stage input to integrate ecology into your project; expert surveys to record the onsite ecology; professional reports to support planning; or advice and oversight during construction - LSC can provide the support you need. Explore our range of services and skills below, or get in touch with us directly to find out how we can support your project. LSC offers a wide range of Ecological Services to take you from Design Stage through to Protected Species surveys, Planning and Mitigation. If you're not sure what ecological input your project might need, or how best we can help you, get in touch with us for impartial, friendly advice. Tree Surveys to BS 5837 and Arboricultural Protection Plans to ensure protection of retained trees and shrubs during construction. Contact us at our offices in Grantham, Lincolnshire. We are centrally based in Grantham, Lincolnshire and work extensively in the surrounding counties including Nottinghamshire, Derbyshire, Leicestershire, Lincolnshire, Warwickshire, Bedfordshire, Cambridgeshire and Birmingham. Our location, right beside the A1 and on the East Coast Mainline means that much of the country is within easy reach - we have worked in the south in Hampshire and the Isle of Wight; north in the Scottish Borders and the Isle of Man; east in Norfolk and Suffolk; and west to the mountains of Snowdonia. Wherever your site is based, get in touch as we and our network of trusted associates would be delighted to support your project. 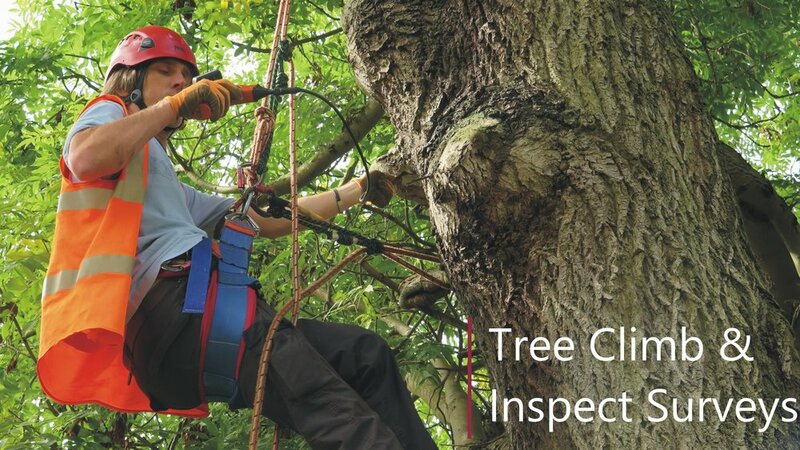 Flick through our 2017 Brochure detailing our Ecological and Arboricultural Services.